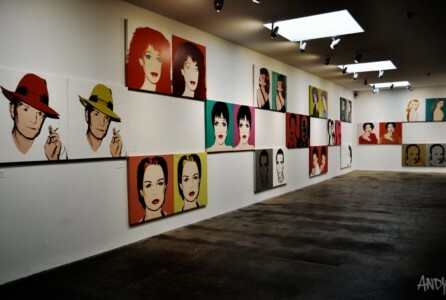 Photo: Pittsburgh is home to the seven-story Warhol Museum. PITTSBURGH — If you’re planning a trip to Pittsburgh, you’ll need to learn a few things. Yinz is local for y’all. Carnegie is pronounced Car-NAY-gie — as in Andrew Carnegie, who made a fortune in Pittsburgh’s steel industry, and whose name adorns libraries, museums and more. And you don’t get French fries WITH your sandwich at Primanti’s. You get fries ON your sandwich. Primanti’s sandwiches and Prantl’s famous cake — a burnt almond torte — are hardly Pittsburgh’s only classic local eats. The best way to start your day here is with breakfast at Pamela’s, preferably a crepe-like pancake stuffed with strawberries, brown sugar and sour cream. Besides Primanti’s, another old-school sandwich with a twist is found at Max’s Allegheny Tavern, a German restaurant in Pittsburgh’s Deutschtown neighborhood. Here you can get a sandwich served on potato pancakes instead of bread. The Strip District is lined with ethnic food markets (Asian, Middle Eastern, Mexican) and specialty shops, from La Prima, which serves excellent Italian coffee and pastries, to Penn Mac for cheese. The neighborhood comes alive with shoppers and vendors on Saturday mornings. At the Conflict Kitchen, located in Schenley Plaza near the University of Pittsburgh, the ever-changing breakfast-and-lunch menu is inspired by the cuisine of places that have been in conflict with the U.S., like Iran and Cuba. Seating is outdoors, so go on a nice day. The seven-story Warhol Museum traces artist Andy Warhol’s life from his childhood as the son of working-class immigrants to his advertising career in New York to his emergence as an influential figure in pop art and underground culture in the 1960s and ’70s. Gallery displays explain the impact and genius of his work, including his famous images of Marilyn Monroe and Campbell’s soup cans. But the museum’s not just about appreciating Warhol’s legacy. It’s also just a heck of a lot of fun. You can bat enormous Mylar balloons around; lounge on sofas while gazing at Warhol’s massive silkscreened celebrity portraits; or watch video interviews — some mesmerizing, some downright wacky — that Warhol produced for a TV project. Another place that makes art fun is the Mattress Factory. Installations include polka-dot-and-mirrored rooms created by Yayoi Kusama and a slightly spooky rowhouse overflowing with toys and furniture. Nearby is Randyland, 1501 Arch St., an outdoor park-like space crammed with art, signs and other colorful objects. “House Poem,” a house at 408 Sampsonia Way decorated with Chinese calligraphy, is part of City of Asylum, which provides sanctuary and forums for exiled writers. A gigantic model of a Diplodocus dinosaur known as “Dippy” sits outside the Carnegie museum and library complex. The Carnegie Museum of Art’s treasures include Giacometti’s “Walking Man” and Van Gogh’s patterned pastel “Wheat Fields after the Rain.” The Carnegie Museum of Natural History is known for its T. Rex. The University of Pittsburgh’s Cathedral of Learning Tower has 30 Nationality Rooms, each one decorated to represent a different country or ethnicity — Korean, Ukrainian, Welsh and more. Check the peephole in every door to see if there’s a class in session, and if not, step inside for a look. Pittsburgh is a city of hills, rivers and bridges (446 of them). At Point State Park downtown, you can see the confluence of the Monongahela and Allegheny rivers as they flow into the Ohio River.